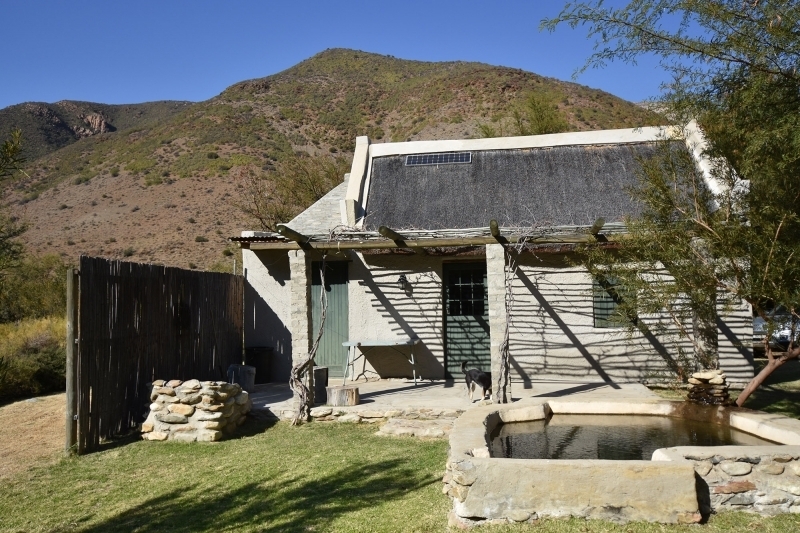 On the land next to our newly erected farm shed and very close to Oom Piet’s cottage, was a restored (or rather “saved”) small building with a thatched roof. This was a store room in the old days and boasted a concrete floor to house the grain and a loft for storing dried fruit and other produce. 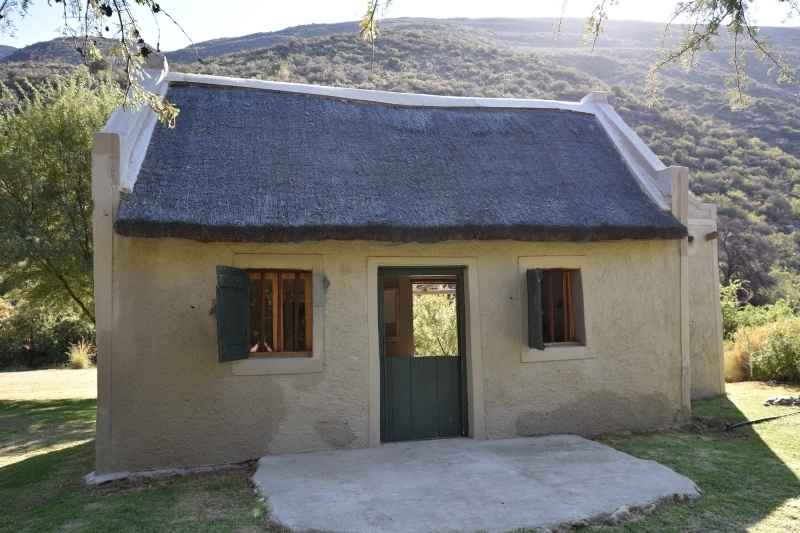 We have recently added a bathroom to the side of the building, but left the original single room as it had been. 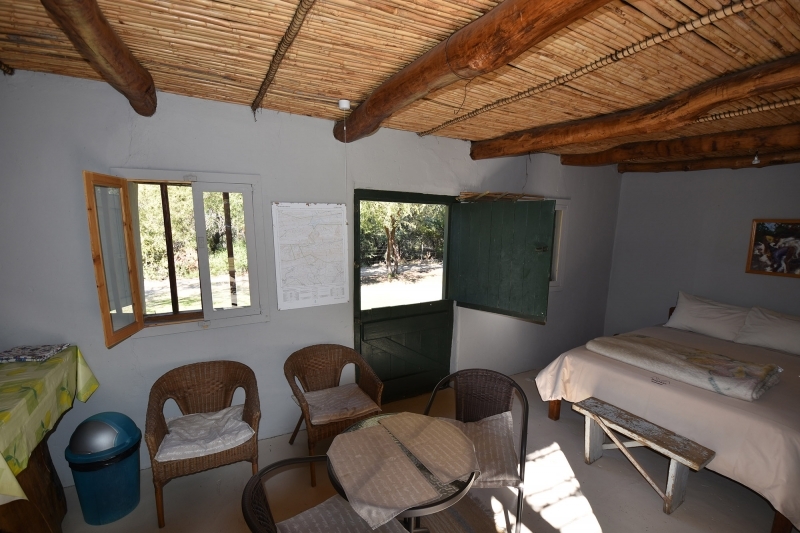 Kitchen facilities have been introduced on the one side of the room and the rest of the room is occupied by a double bed and small table and chairs. On the outside a small veranda was erected. 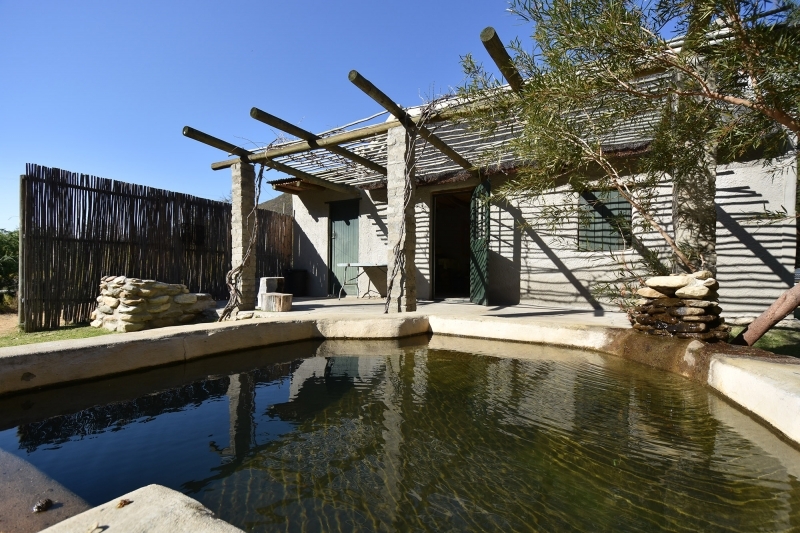 Lately a spash pool and barbecue were built adjacent to the veranda. Two reed shelters were erected: one for the wind and another for privacy. 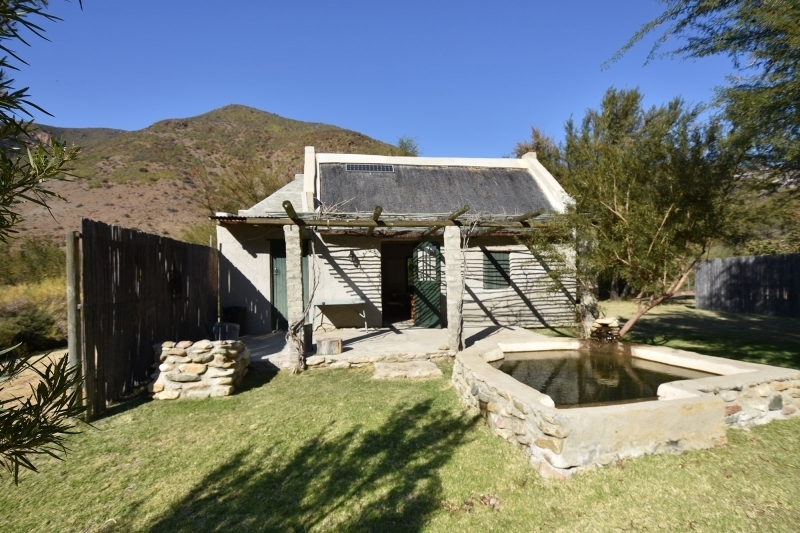 This little cottage boasts a lovely view of the mountain on the northern side of the valley and is truly a wonderful “honeymoon suite” with lots of character. Bedding is provided, but no towels (they only get taken away!). A gas fridge, a two plate gas cooker and sink are available in the kitchen area. A gas geyser supplies hot water for the shower and sink in the kitchen. 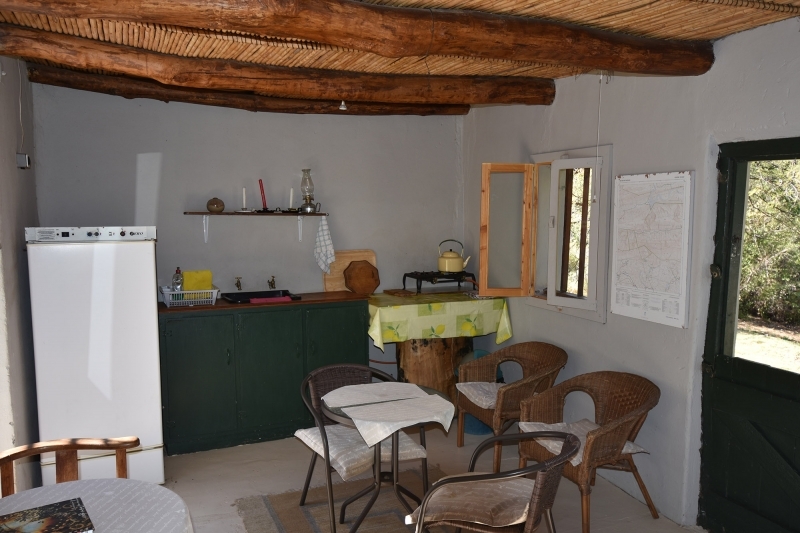 Cutlery, crockery and basic barbecue tools and a grid are provided. Braai wood is provided for the first night and more can be purchased from Donald, if needed. 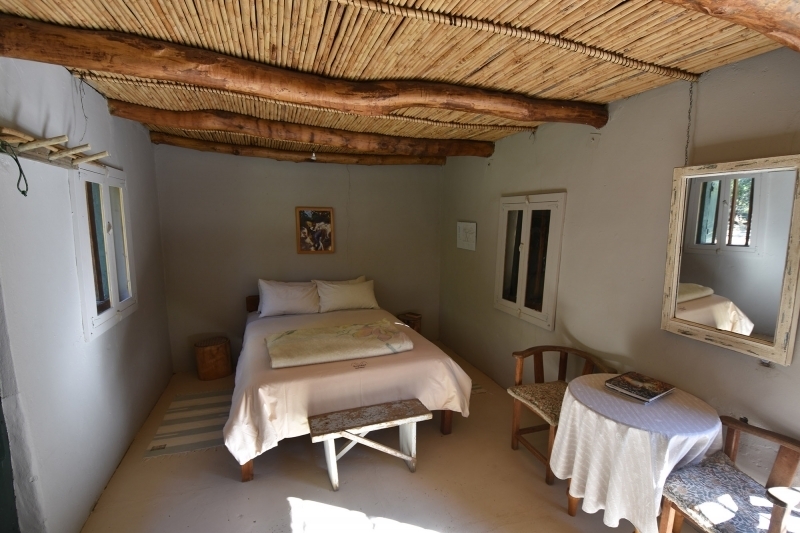 The Stalletjie is also equipped with solar lighting, but at night time can be turned into an adorable setting with candles and a lamp provided. At the moment, it has only shutters in front of the windows, but opening window panes will be installed in the near future. For additional information what to bring on your visit, go to the Information page. For bookings please contact Rykie on 0833066715 or e-mail boplaas@gmail.com or go to the reservations page and fill in the form.